It is a cliché to say that when a guy is hunting to expect the unexpected. Well, hell, I don’t expect that sort of thing at all. I want to find what I expect to find. If I am turkey hunting I want to see turkeys. Deer hunting I want to see deer. Right? But I never have a problem with unintended excellence showing its face to me either. This past Wednesday night work sent me to McCallIdahoto visit a few customers. While there I snuck down the mountain to do a little turkey hunting. Well, maybe just a little hiking with my gun. Not a single bird, but I think I figured out why. 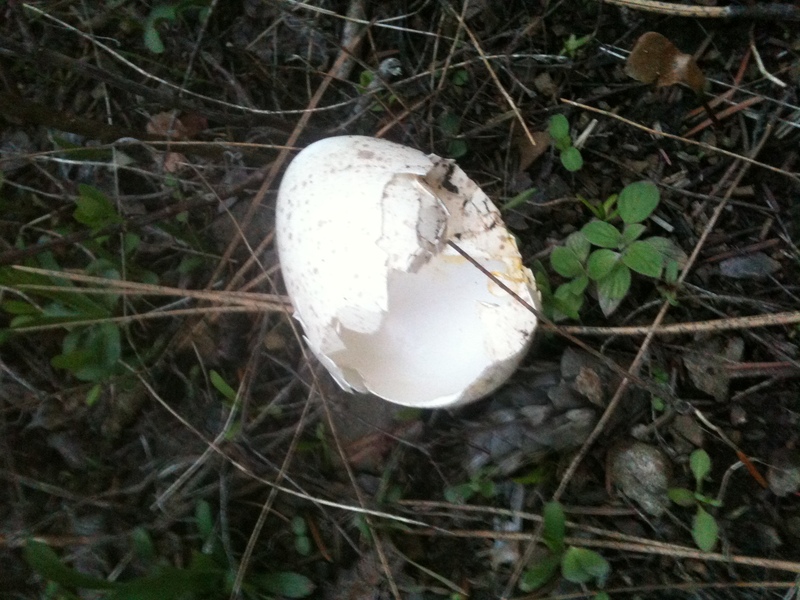 It seems as if the area had an early spring and the birds have already laid the eggs and moved on. Check out this photo below. I found three off these scattered around. The egg is a good sign that the birds are reproducing but also a sign that I am a few weeks late for the prime hunting season. Next year. 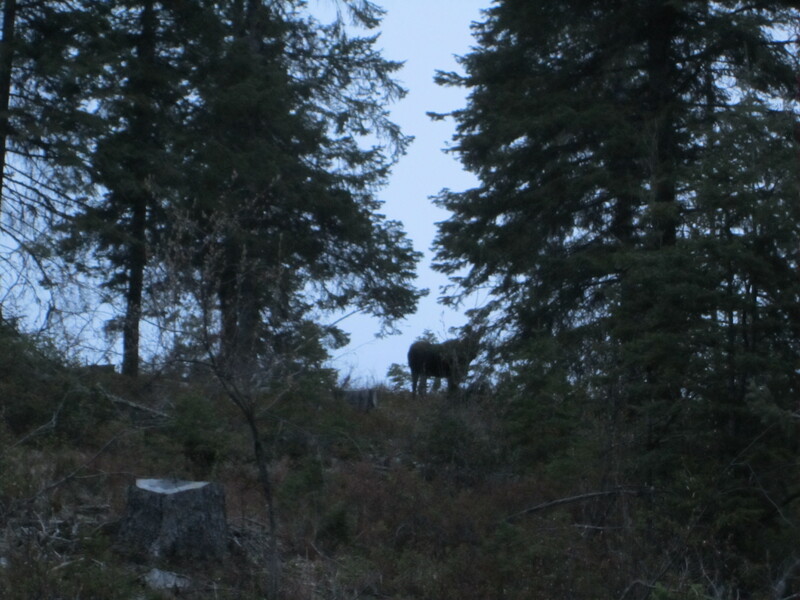 What I did not expect to see while driving a main Forest Service road was a moose. In Idaho they are becoming increasingly rare to find, let alone so close to town and so low. The massive beast looked like a horse when I first saw it. I didn’t get to pull the trigger and bring home any meat but I will suffer unintended excellence any day. Much love y’all.